Kollo i Tobo, our Summer Camp for Youth, is an initiative focused on young people between the ages of 10 and 16 who have an interest in folk music and dance. First introduced in 2017, the Kollo takes the shape of three-day long camp, filled with music and dance, held in the week before Midsummer. The purpose of Kollo is thus twofold: it establishes firm foundations and develops skills in Swedish folk music and dance in a joyful, creative way, whilst providing an environment in which young people can approach, curiously and openly, Sweden’s cultural heritage. 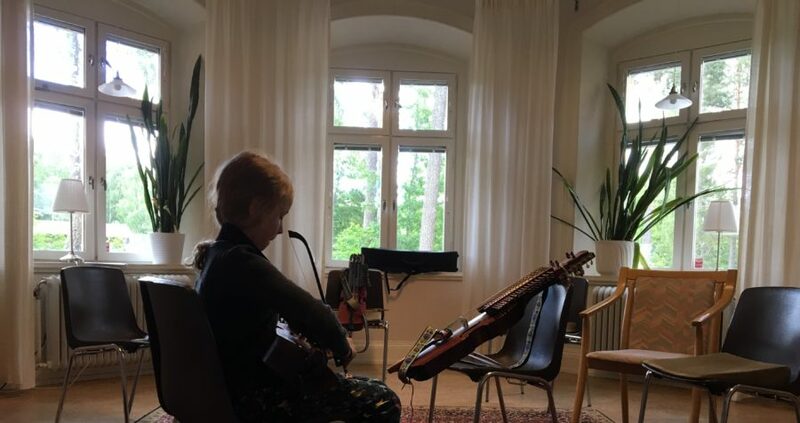 The participants meet and learn from some of Sweden’s most influential music teachers, and get the opportunity to immerse themselves in things they are already familiar with – playing or dancing – as well as to try something new that they are curious about.